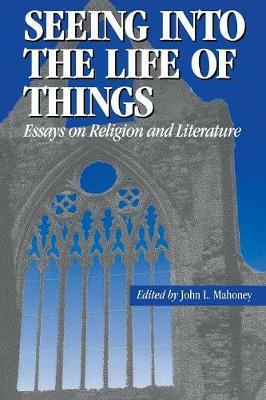 As the discourse of contemporary cultural studies brings questions of race, nationality, and gender to the center of critical attention nowadays, there is a strong sense that religious, or perhaps religious experience, should command the attention of the academic and wider reading community. Seeing into the Life of Things is a response to that need. By combining the theoretical and the practical, this book serves as both a pioneering scholarly contribution to a devleoping field and a valuable guide for those who read, reflect on, and discuss points of intersection of religion and literature. The contributors to this pioneering study represent a range of voices and viewpoints, some of them established leaders in their fields, others in the process of becoming new leaders. E. Dennis Taylor, Joseph Appleyard, Philip Rule, John Boyd, and Jane and Charles Rzepka work toward the development of a discourse that can take its place with discourses that have developed around a New Historicism and Feminism. Robert Kiely, Stephen Fix, Keven Van Anglen, J. Robert Barth, Richard Kearney, Henry Louis Gates Jr., Judith Wilt, John L. Mahoney, David Leigh, Melinda Ponder, John Anderson, and Michael Raiger offer more focused approaches to writers as varied as Gerard Manley Hopkins, Katherine Lee Bates, Flannery O'Connor, Wallace Stevens, T.S. Eliot, and Seamus Heaney and to special genres like spritual autobiography and film.